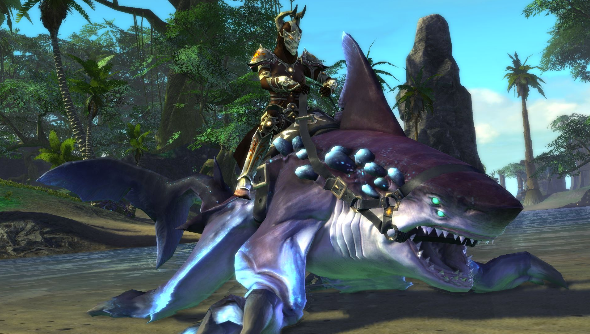 Nightmare Tide, the free upcoming expansion for Rift, was due to go live next week and unleash its underwater horrors on the unsuspecting heroes of Telara. For those who have trouble sleeping, events are underway that will hold off your nightmares for just a little longer. The Nightmare Tide open beta is being extended, meaning it won’t invade the main game for a few weeks yet. Announcing the change on the Rift community website, Executive Producer Bill Fisher said “We’ve been listening to your feedback, which is so incredibly valuable to us, and are working to address your suggestions and concerns. As a result, we’ve decided to extend Open Beta for an additional two weeks, which means the launch date for Nightmare Tide will be pushed back to Oct. 22. For anyone in the open beta, this means you’ll be stuck in the paddle-pool waters of the testing grounds for another two weeks. Those in the regular ol’ world now at least get a fortnight of time to mentally prepare for the coming storm. Of course anyone who desperately wants to experience Nightmare Tide and is upset about the delay can jump onto the Public Test Shard and experience the Open Beta right now.